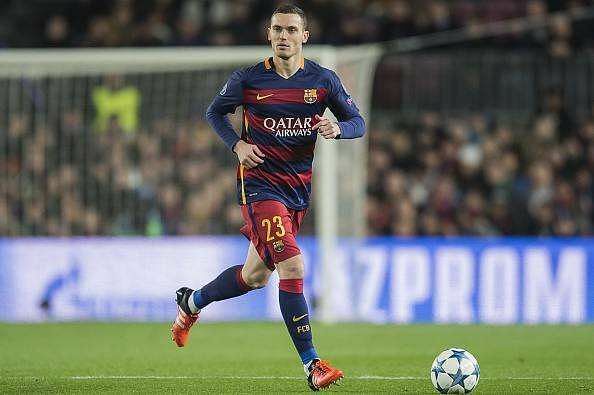 Barcelona star Thomas Vermaelen has dark clouds over his footballing career. Most clubs are wary of him as he battle fitness concerns despite his rich experience and intelligence as a footballer. The 31-year old centre back has been linked with a move to Premier League side Watford. He used to play for Arsenal – spending five years – before his £15 million move to Spain to feature for Barcelona. He never really settled at Nou Camp as he suffered different injuries. Eventually, Blaugrana sent him on a season long loan to AS Roma hoping that the change in environment would be for the better. Vermaelen struggled at Roma as well, with the Italians opting out of the plan to buy him permanently. He remains under contract with Barca until 2019 but with the new coach Ernesto Valverde set to revamp the club, Vermaelen would likely be sold off. Walter Mazzarri made enquiries about Vermaelen and he seems keen to bring the former Ajax man back to the Premier League. The ageing defence of Watford defenders made Mazzarri consider a change but the deal is far from starting. West Ham United and Turkish side Besiktas have also be linked with the player. He is ageing himself but he can still offer one or two years of top football if he can be injury free. For now his future remains very bleak.